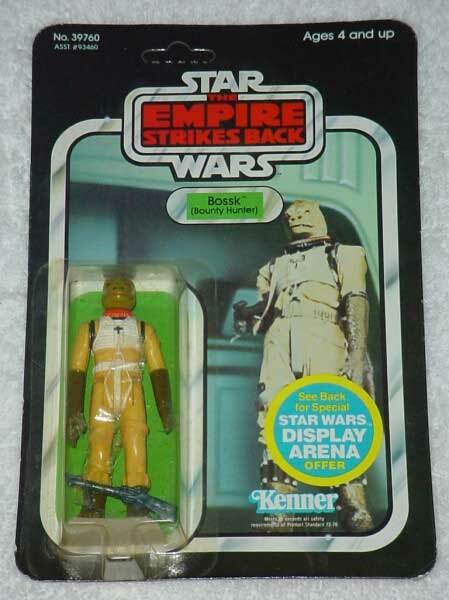 While this may look like a typical carded Bossk figure at first glance, closer examination yields very interesting characteristics. 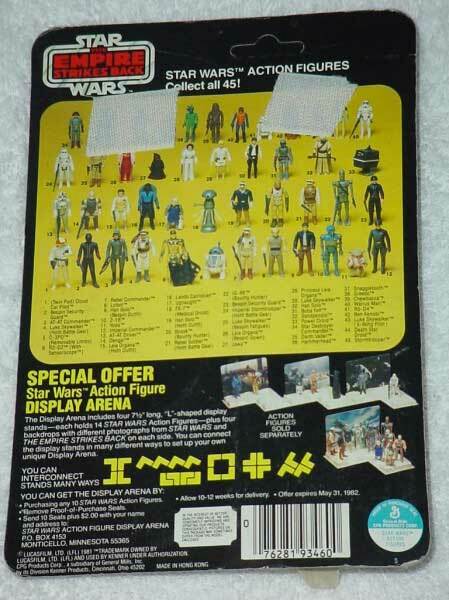 This carded sample was likely used as a display sample at trade show like Toy Fair in the 80's. As the rear image indicates, velcro tabs are present on the cardback. Velcro provided a means of showcasing packaged display samples at various indutry shows and internal presentations. This history, moreso than the velcro tabs themselves, add additional appeal to this piece over a standard carded figure. It certainly fits nicely among the myriad of pre-production items Billy has painstakingly assembled for inclusion in his Bossk character collection.